Coconut oil is a cheap way of keeping your hair healthy! I've always used a lot of different oils in my hair including argan oil but this was just the best for people with thinning of hair it helps grow your hair and give it that thickness. Coconut oil is used in many natural beauty products. It's naturally antibacterial and antifungal. 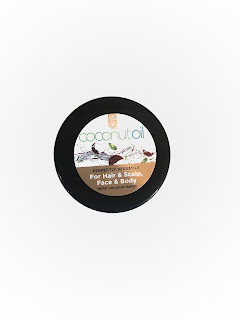 Coconut oil for skin is an excellent moisturizer, it can penetrate hair better than other oils. They are some general disadvantage as the oil can have a unpleasant smell but some people actually like the smell but overall I had no problems using it. For your hair massage a small amount of coconut oil by rubbing your hands applying to the roots of wet hair and evenly distribute it on your hair. Be careful that it does not be in contact with your eyes if this does occur then rinse thoroughly with clean warm water. 1) It is a very good at moisturising since it is filled with vitamin E! 2) Coconut oil FIGHTS DIABETES! 3) It is high in natural saturated fat which means it increases healthy cholesterol (HDL) and it also converts bad cholesterol (LDL) into good cholesterol! 4) It is naturally antibacterial and antifungal! 5) If you use it before sleep it will help reduce the appearance of fine lines and wrinkles and to reduce premature aging! My name is Nirjan, I am 18 years old from London. This is my new blog that I just started recently. In this blog, I will be posting every Mondays and Fridays to express my unique lifestyle to motivate others.